HOME OF THE LIFETIME WRITTEN WARRANTY! With over thirty years’ experience in collision services, you can leave your vehicle with Arizona Collision Center of Phoenix with complete confidence. Get it back fast AND right. 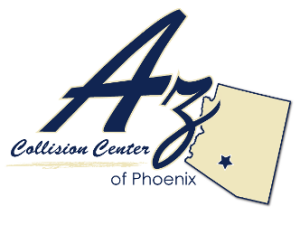 Arizona Collision Center of Phoenix wants to hear from YOU! CLICK HERE to visit us on Yelp and let us know how we’re doing! Enjoy our top notch service recently? Leave us a review. Have a suggestion? We want to hear it! Sports cars to SUV’s and Germany to Detroit Arizona Collision Center of Phoenix has got you covered. Our licensed professionals have worked on thousands of cars so you can rest assured that your vehicle is receiving major league service at farm league prices. Copyright © 2014 Arizona Collision Center - Body Shop and Auto Repair.